This eleven-storey steel and reinforced concrete building is clad in brick and terracotta in the Beaux-Arts style. Modelled Native American heads are a prominent feature. In 2006 it was converted into apartments from its original commercial use. 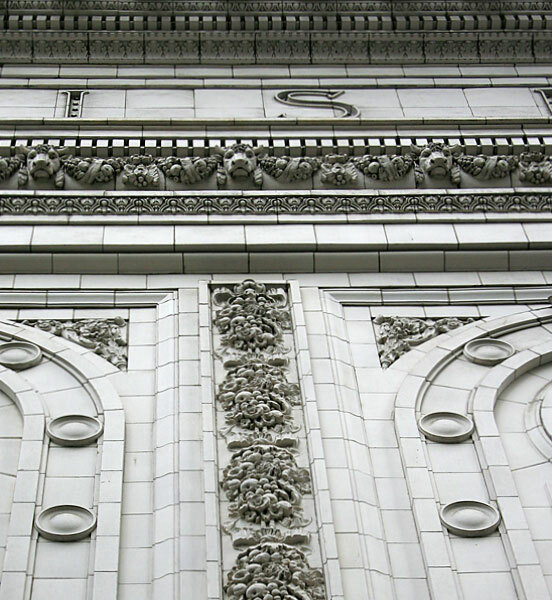 These classical details are over the Fourth Avenue entrance. Two of these modelled forms oppose each other in the Fourth Avenue entrance. 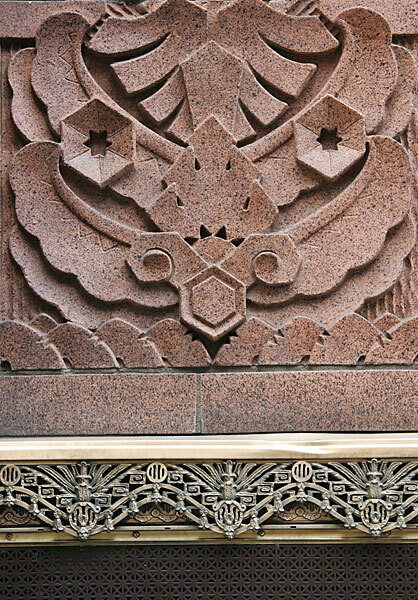 This is a detail from the Renaissance Revival influenced terracotta cladding on the Pike Street façade. 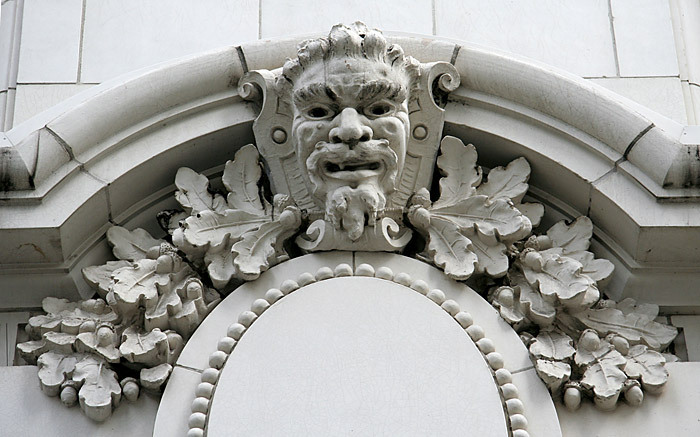 This is a detail from the cornice above the building's corner entrance on Pike Street and Fifth Avenue. The alterations of 1929 saw the addition of Art Deco features at the southern end of the First Avenue Façade. 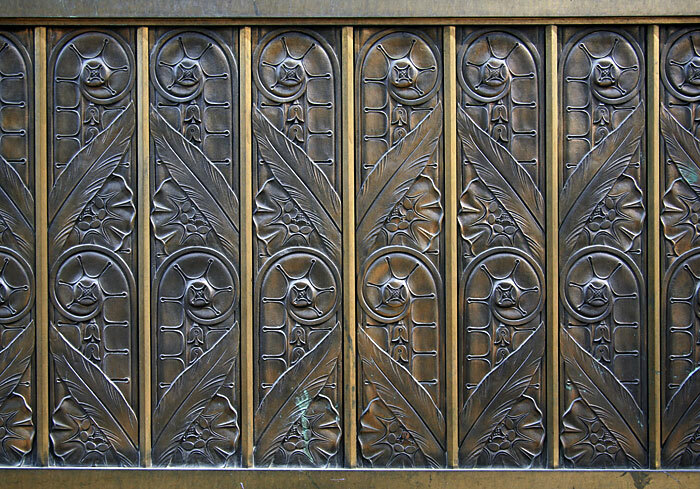 This is a detail from the bronze panelling that runs below the shop front windows on First and Columbia. 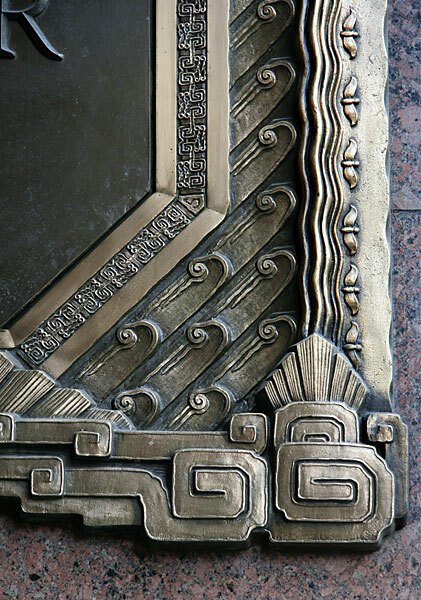 The alterations of 1929 saw the addition of Art Deco features at the southern end of the First Avenue Façade: this is a detail from a bronze door casing there. The Hartford is a small two-storey Art Deco building constructed from reinforced concrete clad in cast stone. This is a detail from the shallow relief modelling above the three centrally positioned upper windows on the Second Avenue facade. 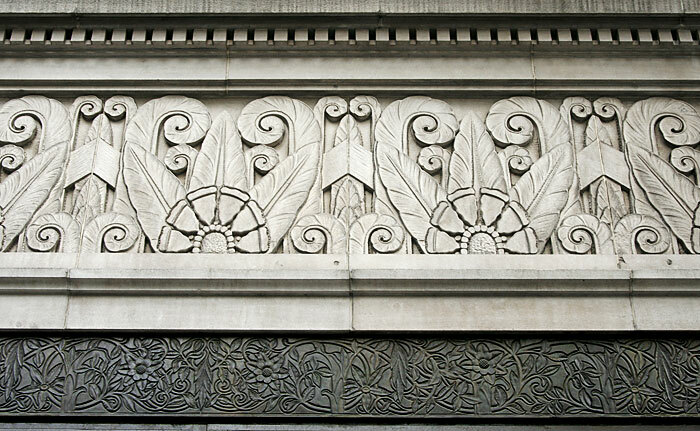 When he was twenty-three, architect Lloyd J.Lovegren contributed this relief sculpture set above the Fourth Avenue entrance to the building. 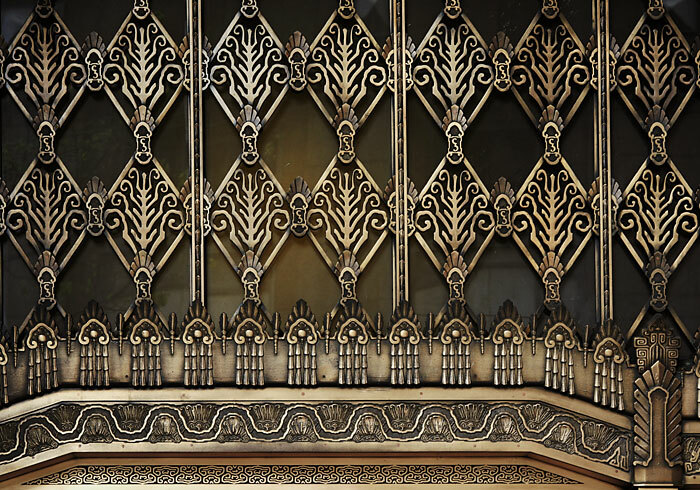 This is a detail from one of the display window cases inside the building's recessed entrance on Fourth Avenue. Built as a ticket office for the Great Northern Railroad, the building's simple flat facades on Fourth and Union carry Art Deco motifs. 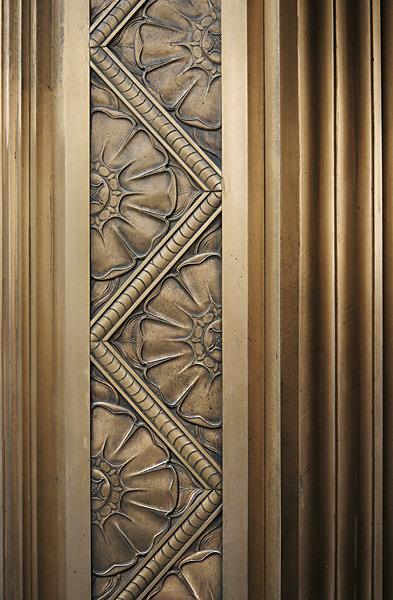 This image shows a detail from the limestone frieze set above the bronze window casings on both of them. 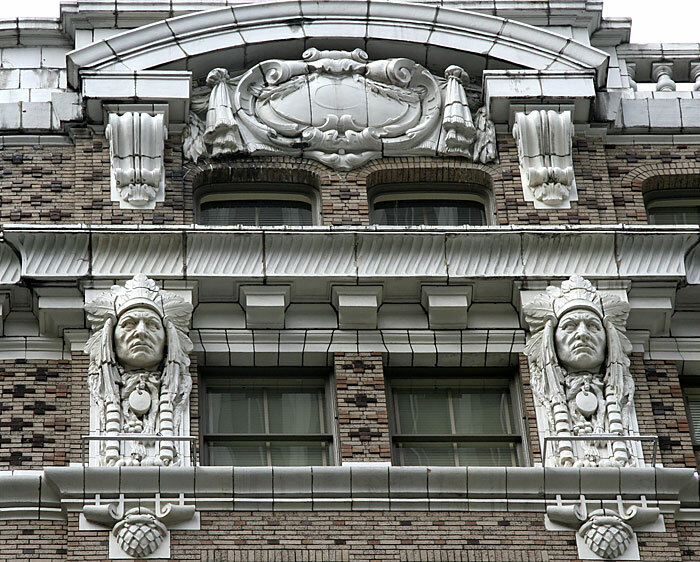 Built for the Great Northern Railroad, the building's simple flat facades on Fourth and Union carry beautifully designed Art Deco motifs. This image shows a detail from the limestone parapet set on both of them. The 27-storey Art Deco brick and terracotta tower was built for the Northern Life Insurance Company. 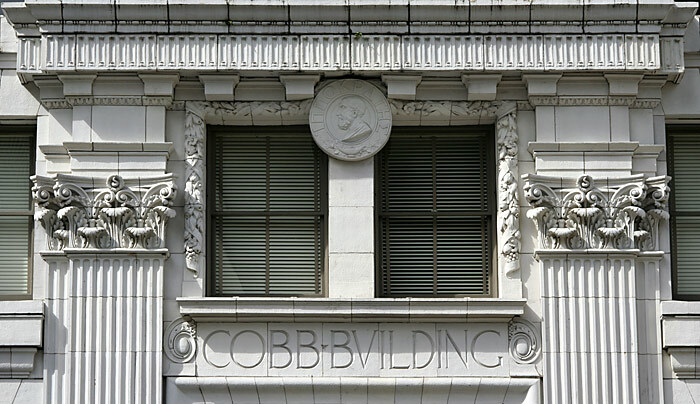 This image shows the corner of a bronze 'Seattle Tower' sign placed in the recessed entryway on Third Avenue. 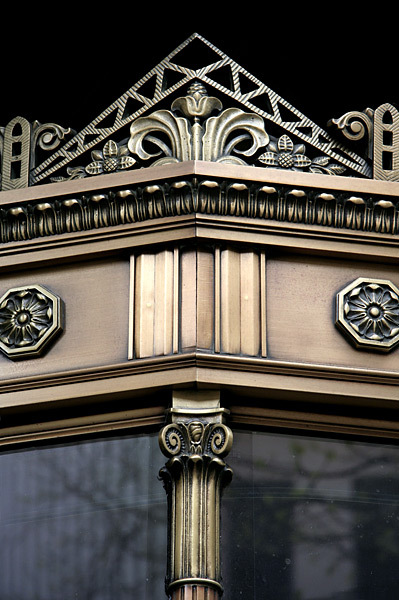 This larger-than-life record is of a detail from one of the designs of bronze trim used as part of the window casings at street level: see 14 for a contextual image. This very fine 27-storey Art Deco tower was built for the Northern Life Insurance Company. 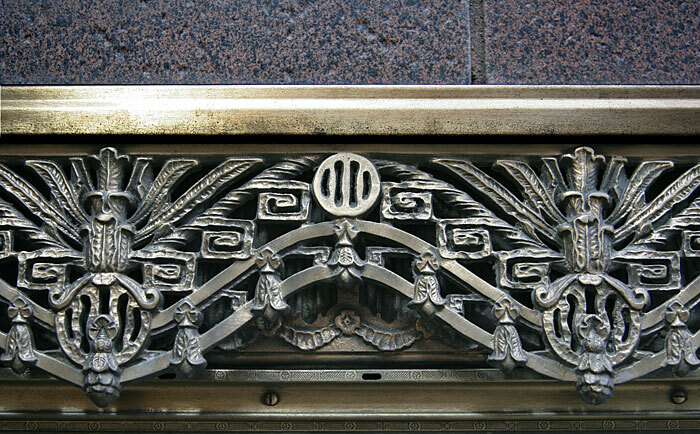 This image shows a small detail from the grille above the main door on Third Avenue. A detail from the carved decoration running between each window strip on the façade.